Chances are good that your coffee storage methods could be improved. Here are the fast facts on how to store coffee beans and ground coffee correctly for maximum freshness and flavor. Coffee does best in a dry, airtight container. When choosing a container and location for your favorite blend, be sure to avoid air, moisture, heat, and light. Cool, dark, dry places (such as pantries and cabinets) are best for coffee storage. Fridges and freezers should be avoided because they are moist. Avoid warm spots, like above/next to the oven or in cabinets that get hot from exposure to sunlight or cooking equipment. Countertops that are away from direct sunlight and other sources of heat can be appropriate if you use opaque, airtight storage vessels. Once coffee’s original packaging is opened, coffee loses its freshness quickly. For that reason, you'll want to put your coffee into the right container as soon as possible. Glass, ceramic or non-reactive metal containers with airtight gaskets are ideal for storing coffee. Coffee can be stored fresh in clear, glass canisters or clear plasticware only if the canisters are kept in a cool, dark place. For countertop storage, opaque, airtight containers are best. 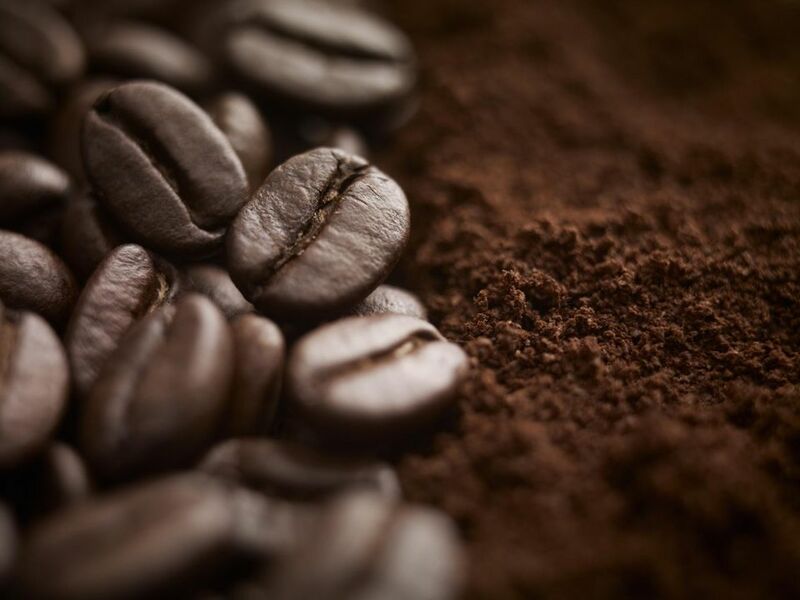 To keep your coffee fresh, buy just-roasted coffee often, in quantities that will only last you one to two weeks, and then store your coffee properly. If you want to buy a larger quantity of coffee, store the bulk of it tightly sealed in an airtight container in a cool, dark area and keep a smaller quantity in another container for daily use. Only open the larger container to refill the smaller container. Storing coffee this way will reduce air exposure for the bulk of the coffee. Ground coffee has much more surface area than whole beans, so it goes bad much faster. If you have the time, energy, and equipment, it's ideal to grind your own coffee beans each morning. If you're not ready to take on that level of commitment, you can still have delicious fresh coffee if you use whole beans within a month of roasting and ground beans within two weeks of roasting. For the ultimate in fresh, delicious coffee, you can buy, roast, and grind your own green coffee beans. Green coffee beans are available from many of the better coffee retailers out there. Green beans store much better and longer than roasted coffee beans. If green coffee beans are stored as outlined above, they can stay fresh for over a year! With a little work, you can roast green coffee beans at home and then grind them as needed for the freshest coffee possible. In the first few days after you roast your coffee, the beans will put off a lot of carbon dioxide. Store them in a valve-sealed bag or put them in an airtight container and open the container once a day for the first several days after roasting to release the built-up carbon dioxide. If you're a coffee connoisseur, probably don't buy coffee at the grocery store. If you do, however, it's important to choose valve-sealed rather than vacuum-sealed brands. Vacuum-sealed coffee is allowed to age before it is sealed. (This is because coffee releases gas as it loses freshness, causing the packaging to expand and potentially even burst.) Valve-sealed coffee, by contrast, allows gasses to escape from the coffee packaging but doesn’t let any gasses in, so coffee can be packaged in it immediately after roasting.